Tata Harrier SUV platform could spawn into a coupe - Mahindra XUV Aero rival? Tata Harrier SUV platform could spawn into a coupe – Mahindra XUV Aero rival? Such a coupe SUV would be pitted against the Mahindra XUV500 Aero. Tata Motors’ promotional video which was released at the Auto Expo 2018 packs some subtle hints at future possibilities. At around 10th second of the two-minute video, under the caption ‘many possibilities’, the video shows six silhouettes – three each for AMP and OMEGA architectures. 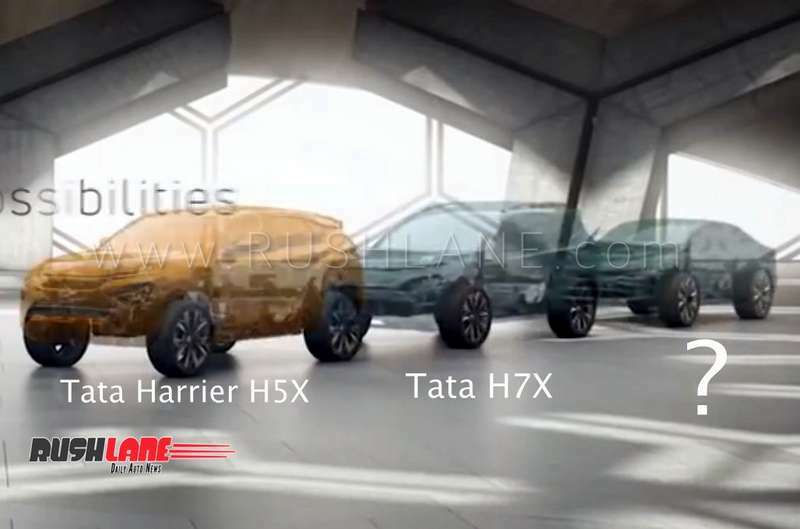 We already know that four of these six possibilities (Harrier/H5X, H7X, 45X, EVision sedan) are entering production in the foreseeable future. That leaves us with two possibilities (one on each platform) to speculate about. The second model on the left looks like a teaser for the X445 aka Project Hornbill, a compact crossover to rival the likes of Mahindra KUV100 and Maruti Ignis. The right most model is a coupe crossover SUV based on the OMEGA platform! There has been no official announcement from Tata Motors about a possible premium Coupe SUV based on the Harrier but given that other 5 sketches each have a corresponding product on the anvil, we are inclined to believe that it’s more than just a distant possibility. The automaker could be currently studying the market for a coupe SUV or could be waiting to see how customers respond to the Harrier so that decision on a coupe version could be taken. Watch the video in which the sketch is revealed for a micro second. Making a coupe version of an existing model is easy and not a huge financial risk. If Tata Motors come up with a Harrier Coupe, it would cater to a niche which could also have the production version of Mahindra XUV500 Aero concept in play. The product would be a brand-shaper for Tata and may have more power output than the mainstream models. The likely Tata Harrier Coupe will be sharing the OMEGA underpinning with the 5- and 7-seat premium SUVs which are slated for 2019 and 2020 respectively. Products based on this Land Rover-derived platform will be powered by 2.0-litre MultiJet II engine sourced from FCA.